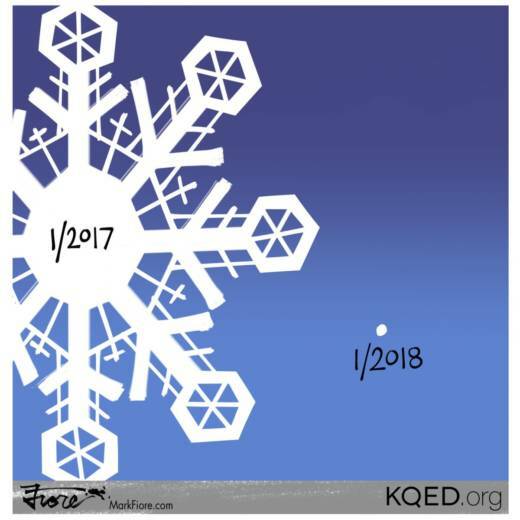 It's that time of year, when state water managers begin their series of monthly snow surveys -- and the initial news is bleak. The snow that's presently sitting on the Sierra Nevada range is packing only 24 percent of the water content considered normal for this date. That's worrisome as the Sierra's "frozen reservoir" of snow typically holds about a third of California's water supply. 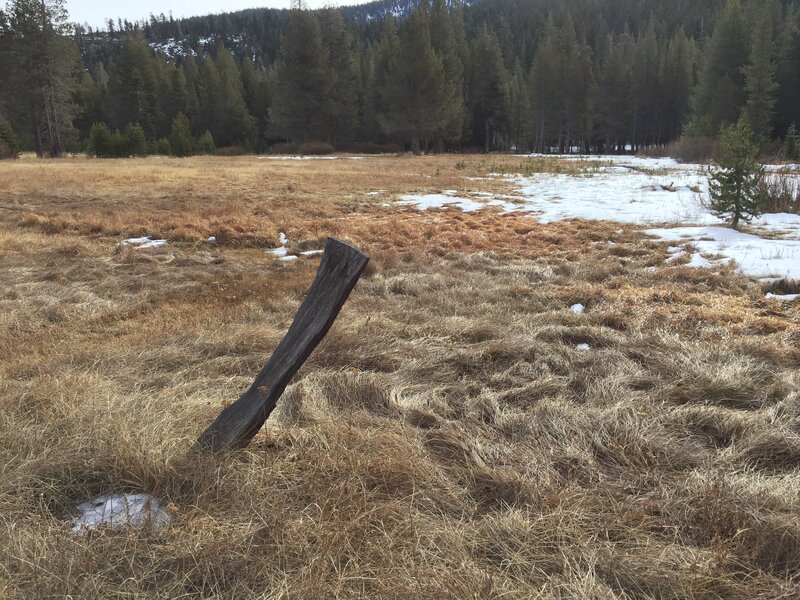 "The snowpack is just not really building in the Sierra," laments Nina Oakley, a climatologist with the Western Regional Climate Center in Reno. There are two main culprits: first a stubborn bubble of high-pressure that was parked along the California coast for most of December, diverting potential storms around the state, into the Pacific Northwest and Alaska. That put a pinch on total precipitation for the state. "November was a fairly good month," recalls Cory Mueller, a forecaster in Sacramento. "We were running about normal, but then as we went into December we had that ridge build in and that really cut off the precipitation." December is historically California's wettest month, counted on to deliver about 20 percent of the total precipitation in any given year. Secondly, the wet systems that have managed to sneak in from the Pacific Ocean have been on the warm side, dropping snow at only the highest elevations. The picture is even more grim in Southern California, much of which has yet to see any significant precipitation this season. Santa Barbara, which should be closing in on six inches of rain by now, has logged just .07 inches for the season -- that's 1 percent of normal. But it might be too soon to starting dropping the "D-word." "Just coming out of a multi-year drought with the wet year of 2016-2017 and then looking at the potential for going back into drought, it is concerning," says Oakley. "But we live in an area where precipitation is highly variable from year to year." And from month to month. Extended dry periods are common during the California winter, though they're more likely to occur in January, giving rise to the skiers' snarky appellation of "June-uary." And just as abruptly as the tap can shut off, it can open up again. "As soon as we have that ridge break down and open the storm corridor, and if we can get several big storms into the region, we can recover what we lost in previous months," says Oakley hopefully. "So it can certainly turn around."